Do you sometimes sit in your home, look around you and think that there is something not quite…. complete? You’re perfectly happy with the floor covering, the wallpaper, the paintwork, and your furniture, but somehow there is that certain something missing, that certain je ne sais quoi, something that would provide that extra special finishing touch. 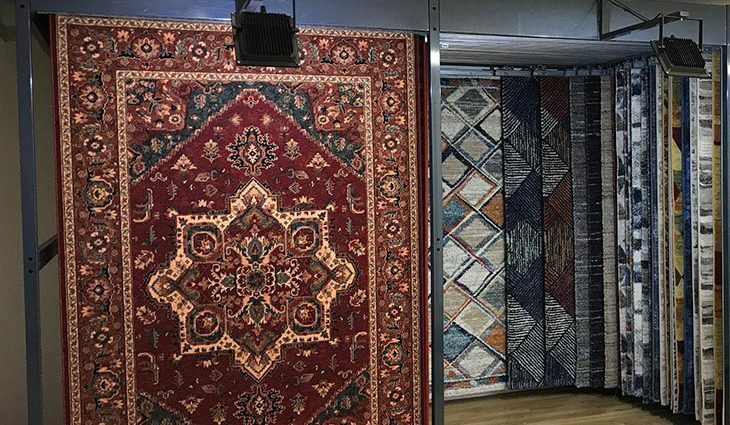 What you need is a Mercia Carpets rug.Contact us and we will help you to choose the perfect rug for any room in your house. A good rug, in co-ordination with your furnishings and decor will make all the difference, enhancing what you already have and making your room seem warmer and more welcoming. We can offer a wide variety of large, medium or small rugs, as well as runners to suit your taste. We also have doormats that will make guests feel welcome even on the threshold of your home!If you want something larger or to a different design than those rugs which we have in stock, we can provide these to order. Get in touch with us and we will use our experience and expertise to help you to find the perfect match. We will offer you a free quotation and, should you wish, you can take a sample home with you. That way you will have every confidence that your choice will make a perfect match with your existing carpet and soft furnishings.